The Canon RS-IL02LZ Long Focus Zoom Lens is an easy-to-use zoom lens that can cover a zoom area ranging from 34 to 57.7mm. 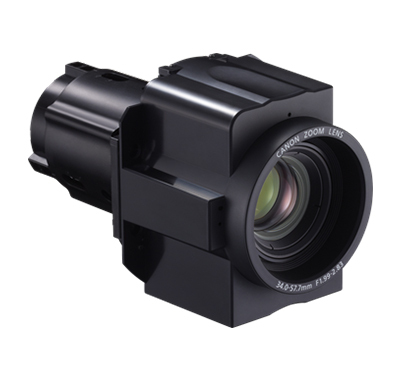 The RS-IL02LZ incorporates Canon's highest standards of precision optics. The lens is one of Canon's flagship professional lens range, combining outstanding image performance and ultimate operability with dust and moisture resistant construction. Moreover, with dust and moisture-resistant construction, this is a durable yet sophisticated lens that meets the demands of advanced amateur photographers and professional photographers alike.